Unicorns are beautiful and mystic creatures that have the body of a white horse with a majestic horn. They are commonly associated with natural scenes, fairies, and rainbows. This unicorn kids costume allows your child to dress-up as one of these magical creatures for Halloween or year round costume dress-up play time. 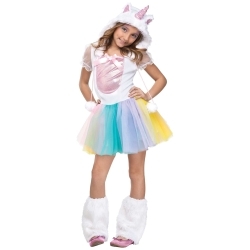 The unicorn kids costume is colored as pictured. Costume includes dress with attached rainbow tutu, hood with attached horn, and fuzzy boot covers. 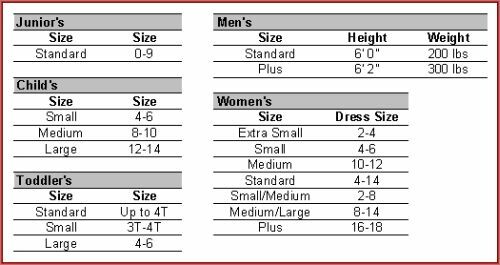 Costume is available in child size small, medium, or large.